I cover most areas of North, North West and parts of West London, eg Hampstead, Cricklewood, Kilburn, Belsize Park, West Hampstead, St John's Wood, Queen's Park, Primrose Hill, Maida Vale, Kentish Town, Camden Town, Golders Green, Hampstead Garden Suburb, Finchley, Willesden, Brondesbury, Barnet, Edgware, Stanmore, Totteridge, Borehamwood, Elstree. Antenatal preparation, breastfeeding preparation and support, simultaneous feeding of twins, postnatal support. Relaxation techniques, pain relieving massage techniques for partner to use during labour. Peer breastfeeding volunteer at Royal Free Hospital PN ward. I live in Cricklewood with my husband Henry. I have four married children, including twins, and eight wonderful grandchildren, aged 1 to 9. I recently retired from birth doulaing after eight years. I have always been passionate about fertility and birth: before becoming a doula I was a counsellor in a busy London Fertility Clinic. I offer antenatal Birth Preparation meetings as well as postnatal help, and I specialise in infant feeding education, including paced, responsive bottle feeding. To improve my breastfeeding skills I have completed an in-depth breastfeeding training course led by International Board Certified Lactation Consultant Indira Lopez-Bassols. I also regularly attend infant feeding training through the Royal Free Hospital where I am a peer breastfeeding volunteer on the postnatal ward. My own three births gave me first-hand knowledge of Caesarean section and VBACs (vaginal birth after Caesarean). My boy/girl twins arrived at 34 weeks, delivered by emergency CS. They were in special care for three weeks and learning to breastfeed simultaneously from a kind and patient nurse has been a skill I have passed on to many over the years. My two VBACs brought me immense joy and inspired me to support others, not only to achieve their dream of conceiving, but in having the sort of birth they want. An early teacher, Janet Balaskas – founder of the Active Birth Centre – taught me the value of a confident ‘can do’ natural approach to birth and the benefits of correct breathing and positioning. Janet now recommends me. I believe strongly in a woman’s innate ability to give birth and the wonderful instincts that allow her to do this naturally if she trusts her body and those around her. But hospitals can be bewildering places, particularly when you are feeling extra vulnerable, leaving you uncertain about what is in your, and your baby’s, best interests. I recently retired from my work as a birth doula having supported over 70 births but I continue to offer antenatal Birth Preparation Sessions – usually two or three, depending on your requirements. I make certain you are well informed. You are entitled to feel confident and optimistic: I will guide you, explaining the different stages as well as procedures and choices available once you are in labour – whether you are having a hospital, birth centre or home birth. I work with you on a personalised birth plan. Knowing what’s right for you helps to empower you to ask for what you need, whether it’s more time to consider a procedure or simply clarification on something mentioned or being suggested. This helps you feel safe and in control of events. At these antenatal meetings I explain the pros and cons of interventions, different types of monitoring and pain relief and how you’re partner can support you. I teach simple massage techniques that are effective in reducing pain, as well as breathing and visualisation to keep you calm. I offer a ‘shopping list’ of useful items for the baby and for yourself as well as discussing good equipment, like birth pumps and sterilisers. I provide information on excellent reading and visual material and links to organisations that provide evidence-based research on all aspects of birth. I am also a sounding board when you need to think over what you have been told by the hospital. I will never tell you what to do as I am not medically qualified, but you can count on my support when you decide what is right for you. I will show you how to hand-express your milk and teach all aspects of early breast-feeding and breast care so that you are fully prepared to feed your baby. I offer postnatal breastfeeding POP-INS if you need some extra support after birth and my four-hour POSTNATAL VISITS ensure you and your babies are well cared for. I trained with Nurturing Birth at the end of 2009. In order to gain the NB qualification I studied birth physiology, obstetric scenarios and breastfeeding. I hold NB certification and am now a doula Mentor for Nurturing Birth. 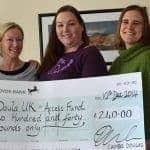 I went through Doula UK’s rigorous supervised Recognition Process and achieved Birth and Postnatal Recognition in 2011. I have worked steadily since November, 2010 and have attended over 70 births. I undergo continued professional development – having attended study days and workshops on, among others, breastfeeding, paediatric first aid, homebirth, understanding significant pregnancy ailments, informed choice (on birth); the role of oxytocin in birth, and compassionate birth (partnering) at the British Psychological Society. I recently attended a seminar on post-natal depression and related mental illness and how to support women and obtain correct help. I originally trained as a fertility counsellor at the Royal London Hospital and City University and worked as a Relate trained couples’ counsellor for 15 years. I am a qualified Higher Level Teaching Assistant (primary) and have years of experience teaching children with special needs in Barnet primary schools. I am a recognised energy healer with The Healing Trust and volunteer weekly at a healing centre in Highgate. After an initial interview and once booked, I will help you write a concise Birth Plan, (including a gentle Caesarian plan if appropriate), and discuss every aspect from how to recognise that labour has started to how you would like to birth your placenta and the atmosphere in the birth room. We will look at how to keep early labour as comfortable as possible, what you will need to take in to the hospital and what equipment and essentials you will need to have in place at home for yourself and your baby/ies. Sometimes a visit to hospital to speak to a midwife-lead (SOM) is recommended in order to ensure your concerns are noted and I can accompany you if you would like my support. Postnatal half-day sessions allow you time to discuss any concerns, ask questions and have practical support on infant feeding, bathing and general care. I am described by clients as a doula/mum/Mary Poppins all rolled into one! I’m happy to do practical tasks and make sure your home is tidy and laundry sorted. I prepare meals and drinks, do local shopping and take baby out for walks in the fresh air. This is vital as it allows mums and dads to catch up on much-needed sleep and it helps babies sleep between feeds and to drop off naturally on their own (self-soothing). I support ongoing breastfeeding and also explain safe formula preparation if this is your choice. No mother should have to feel guilty about the way she feeds her child. I will help you use an expression pump should this be necessary and guide you through safe practices for milk storage and help with baby laundry and general tidying. You will develop skills in baby care and be comfortable feeding in a variety of positions! I am happy to support you and your family in any way that helps you. Baby routines are not easy to establish and talking through strategies can often lead to solutions. I often refer clients to other professionals such as tongue-tie specialists, yoga teachers and cranio-sacral osteopaths specialising in pregnancy and babies. I lend or recommend books and specialist DVDs. ” From when my husband and I met Alison we felt very at ease, but also confident that she had the knowledge and experience to be exactly what we wanted and needed. Our antenatal visits were extremely helpful at making me feel positive about the birth, something I never thought I would feel. Postnatally, when I struggled with breastfeeding, she also had very good tips I used. I would not hesitate to recommend her: I will definitely be recommending her to all my friends.” Laura S, mother of Conrad b. Birth Centre, UCH. “I’m lucky to have found Alison. She was exactly what I needed. I was struggling with breastfeeding and was really frustrated. Half an hour from her arrival both babies were attached to my breasts, feeding. It was amazing. 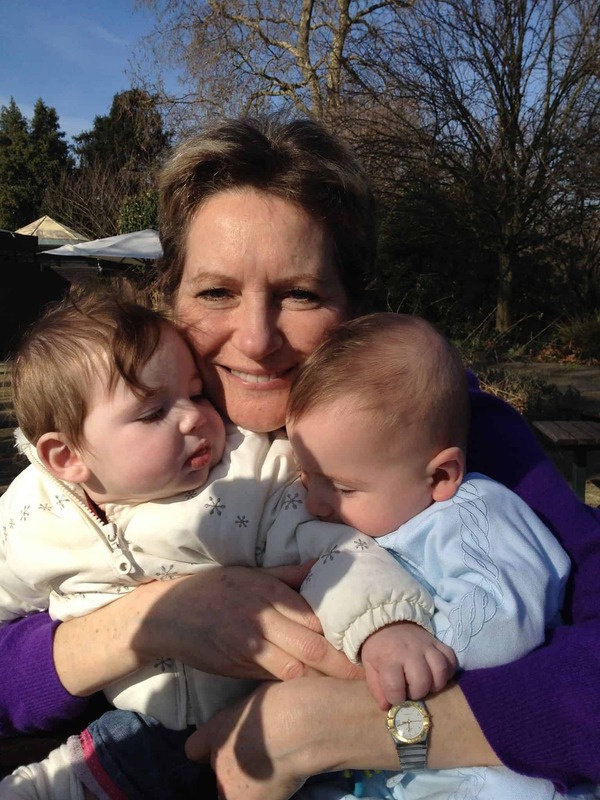 I’m so grateful.” (Julia, postnatal client, twins Ron and Daniel). “Alison you have been wonderful. You have helped me feel a lot calmer and more relaxed than I would have felt without you in those first few challenging weeks. Great support with the little one, but also around the house, giving me this all-important time to breathe. You were especially good at spotting what I needed; it was difficult for me to articulate in the beginning what I actually needed help with, so your guidance, support, help and open ears were a big source of strength for me. Your visits were very precious ‘time-out’ for me; I felt that I could totally relax. Thank you so much.” (Katharina, mother of Theodor, born March, 2018). “Dear Alison, just a short note to say what an incredible help you were when Francesca burst into our world a full month early. As soon as you were able to reach us you made such an incredible impact, something I will always remember. Your turned what could have been a very unsuccessful breastfeeding story into a very successful one. Not only did you teach us both what we needed to do, you transmitted confidence and calm; this is what I think made the real difference. You wanted us to succeed as much as we did, and that was just wonderful. So, thank you from the three of us, but especially from Francesca, who now is not only putting on weight, but also thoroughly enjoying feeding directly from her mama. Much love.” (Kate, mother of Francesca, born Sept, 2018). “Alison has been an enormous support to both me and my husband in the lead up to the birth of our first child. She has been patient, calm and kind, and she is a brilliant listener – not to mention her endless knowledge and experience. She has recommended books, websites and other useful literature yet we have never felt judged by our own choices or guided down a particular path that’s not right for us. Alison is totally open-minded and has supported us every step of the way so we’ve not felt overwhelmed by our pregnancy and have been able to enjoy it knowing that she’s there for us. I have been booked in for a Caesarean section due to circumstances out of our control. Despite this not being my first choice and my initial disappointment, Alison has turned it into a totally positive experience…..she laid out options for us we didn’t know we had and helped me write a new birth plan so I felt like I’d taken back complete control of my upcoming birth experience. My husband and I will be forever grateful to her for her support and guidance.” (Pip, mother of Polly, born UCH December, 2018). “Dear Alison, I remember coming home from the hospital in the afternoon and you coming to us two hours later. I still remember the feeling of relief knowing that I could ask you about everything that was on my mind. But, most importantly, that evening you sat next to me and showed me how to breastfeed in a comfortable way that both Noah and I enjoyed….you gave us so much support. From preparing lunch, making sure I would drink enough, to doing laundry and taking Noah out for a walk so I could get some sleep, you exceeded my expectations of having a postnatal doula for your little family. Your knowledge about breastfeeding is incredible and I definitely benefitted from it. I remember feeling very emotional for the first few weeks and I could always be 100 percent honest with you; you always took the time to sit down and talk to me, and I never felt like you would judge me in any way. I will miss having you around and will forever be thankful for your support….and for the love you have given to Noah during your time with us.” (Friederike, mother of Noah, born Sept 2017). “Alison guided us towards this unique moment with knowledge which comes from experience. Her guidance lead to confidence, peace and in the end after a long labour, to a healthy, beautiful baby boy born naturally against the odds. I would not have done it without her. In gratitude, Brigitte.” ( Brigitte, mother of baby Alex). “I just wanted to say thank you again for all your help towards the end of last year with my twin girls, Lauren and Eden. I am happy to say that after your initial support with my breastfeeding, I was able to breastfeed the girls up to 7 months of age – a lot longer than I ever expected I would be able to.” ( Maureen, NW3). “Thank you for being our doula. Your support has meant so much to us and has really made such a difference to our birth experience this time. I couldn’t get the VBAC but do not regret for one minute all the work we put into my birth plan: it has been a truly enlightening and empowering experience and one that I will remember with pleasure. My biggest thank you for your helpful insight and support. I would not have got so far with my birth plan without you.” (Laura, mother of Mostafa). “The birth plan worked out exactly as we had discussed which I know is a rarity, especially in the labour ward. And your encouragement about me speaking with the consultant midwife was really valuable – that meeting made me feel so much more in control of the whole process. During my long labour having you on the end of the phone or at our house taking me out for a walk was invaluable. I would definitely have gone into the hospital the minute things got painful whereas your calm, matter-of-fact knowledge about the stages of labour kept me at home for as long as possible, which was exactly what I wanted.” (Charlotte, VBAC mother of baby Audrey b. St.Mary’s, Paddington). Antenatal Birth Preparation: £70 (up to 2 hours) plus parking charges. Postnatal half-day: £100 for a 4-hour visit, plus any parking fees. Pop-in for breastfeeding support (up to 2 hours): £60, plus parking charges. You can also read about me by visiting the London Doula Collective website and the Nurturing Birth Directory.